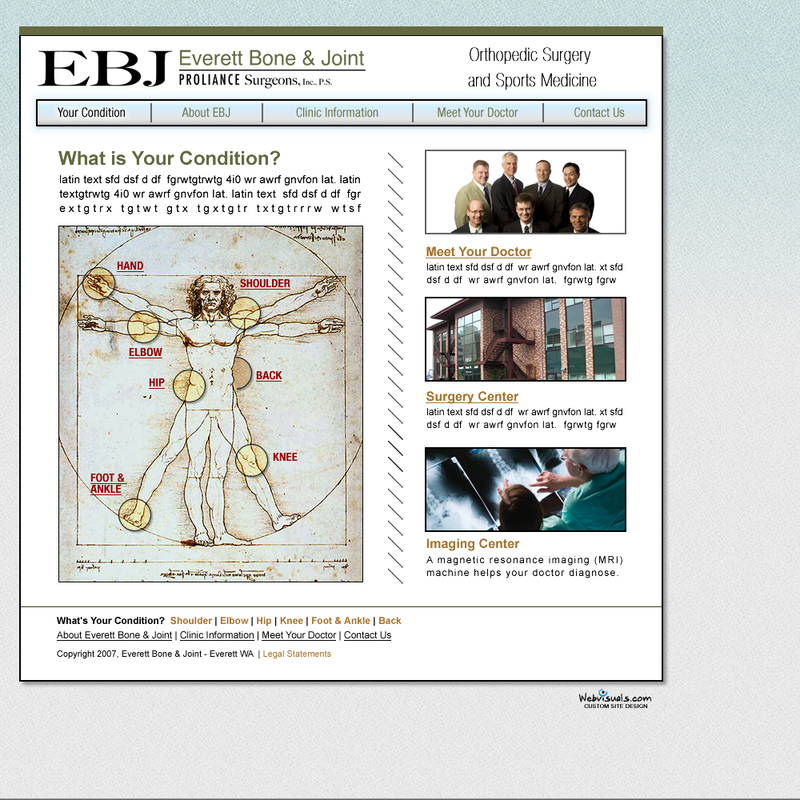 On the EBJ site we put the doctors and popular conditions front and center. 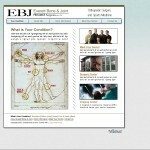 Developed an organic keyword magnet called "Ask The Surgeon". Lots of Google searches landed on these pages. 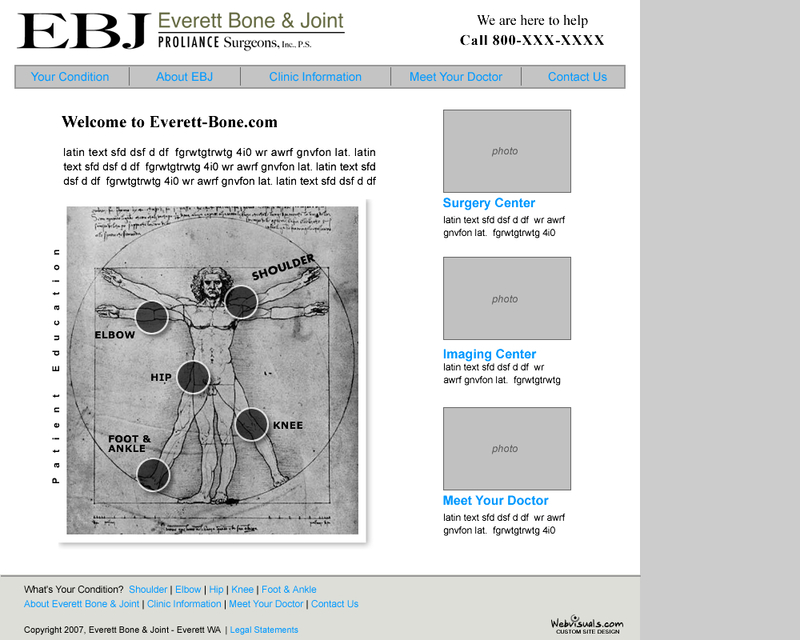 Doctor landing pages did double-duty targeting the keyword "orthopedic surgeon", (google it). 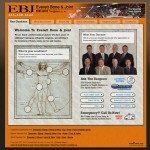 From informational meetings with the EBJ doctors is was determined that site visitors want a web design that shows the doctors, clinic information and a way to self-research the top conditions an orthopedic surgeon deals with by body part. 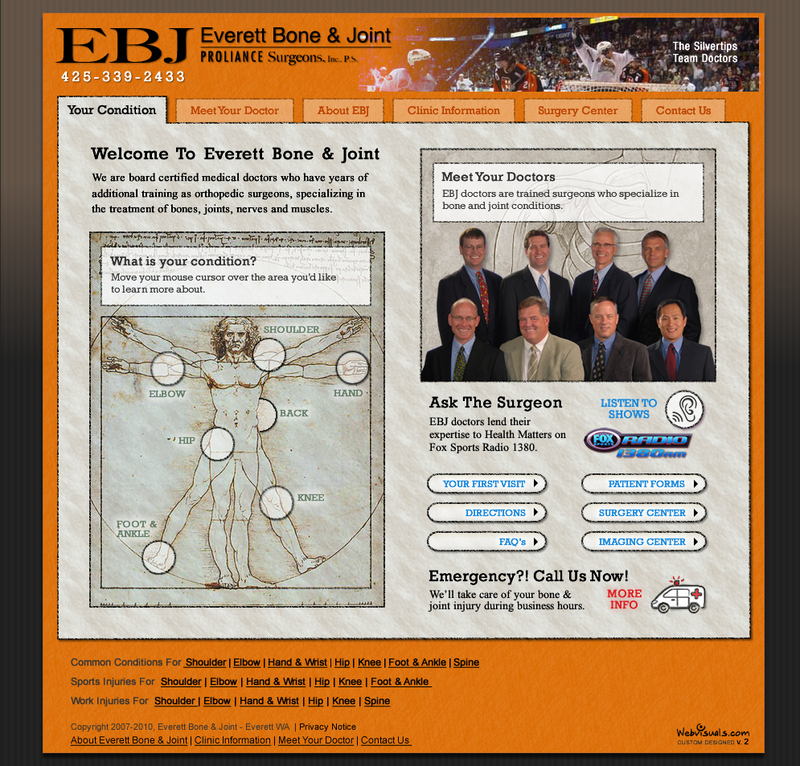 We created the first web design for the Everett Bone & Joint back in 2007. 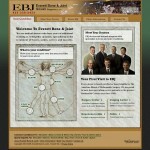 This Everett web design genesis came with working with Caroline Mason of Motion Marketing. We met with the Everett doctors to gather, decipher and organize their input into a website design that would stand apart from other medical websites. They also wanted to know how traffic was going to come to their site once launched. A search engine optimization (SEO) document was researched with a plan to throw out a broad net of medical condition keywords and methods to provide useful & engaging medical content that attracts patients organically via searches on Google & Bing. The Everett web design overlaid this SEO structure for an engaging user experience that connects with organic traffic. To make it stand out and a reason for patients to come back to the site we developed web tools in the homepage design that help a patient identify & receive information on their conditions along with an interactive doctor group shot that introduces the site user to the Everett doctors. Eight years later, & only one revision this site has withstood the test of time and incrementally keeps increasing it’s organic traffic numbers. 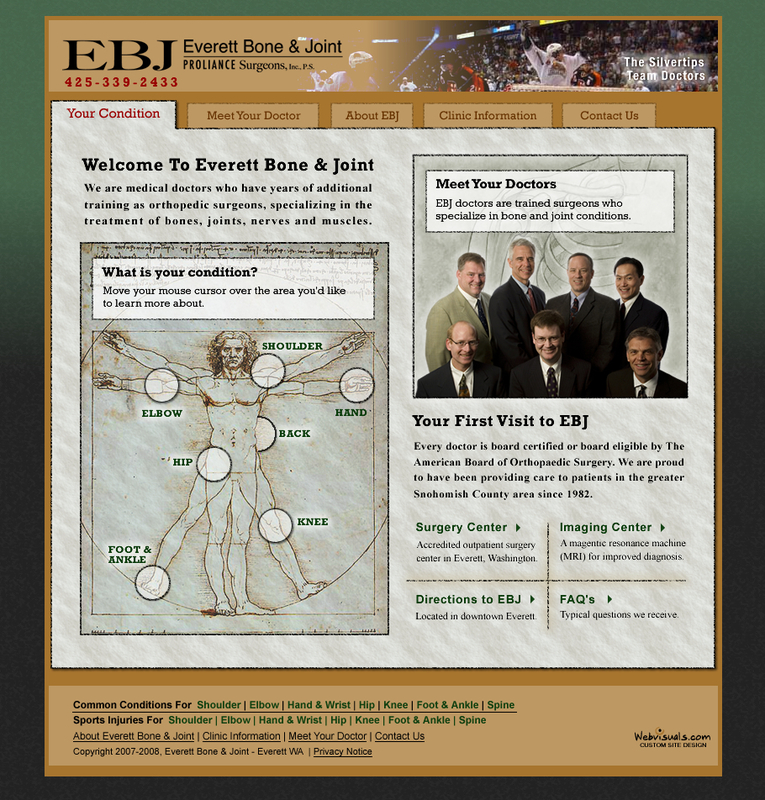 We have worked with Ron since 2007 and have enjoyed success with traffic to the EBJ website increasing every year and patients knowing what to expect when they arrive at the clinic or surgery center.